Bailey Loves Burley :: Tail Waggin’ Begins! I love my dogs . Gus and Bailey are mini schnauzers I’ve had since they were 8 weeks old. They’ll turn 10 on November 11 and they’re a very important part of my life. Since they were pups, I took them everywhere with me. They love going bye bye in car ~ especially to Starbucks for puppy lattes! After I decided to go car-free, one of their favorite things to do became seemingly impossible. Worse than not having their daily trip for coffee with mom, I work in a pet friendly business so was not able to bring them to work with me from time to time… so I thought until recently. Burley has the solution! 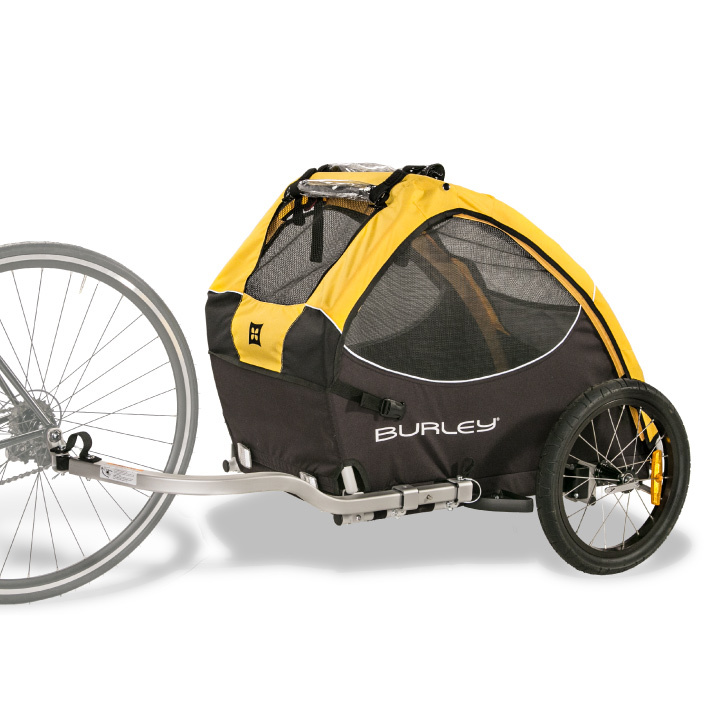 Burley’s Tail Wagon is a dog bike trailer. The assembly was fast and easy and can carry up to 75 lbs. of pup. Bailey got the first test ride. She how well she did here! She LOVED it and so do I. Now, I can confidently and comfortably take my pups along for this journey ~ the velo way!